RUN THE RACE is directed by Chris Dowling (WHERE HOPE GROWS, ROCK SLYDE), who also co-wrote the script. The stars include Mykelti Williamson, best known as Bubba in FORREST GUMP, and Tanner Stine and Evan Hofer who will play the brothers. Eddie George makes a cameo in the movie. George won the Heisman trophy in 1995 before playing for the Houston Oilers, Dallas Cowboys and Tennessee Titans in the NFL. “Somebody’s going to deal with adversity.” George spoke of the movie, “somebody’s going to deal with loss. Somebody’s going to deal with pain. Somebody’s going to deal with victory and success. I think this film reflects that.” Like George, Tebow also won the Heisman in 2007. 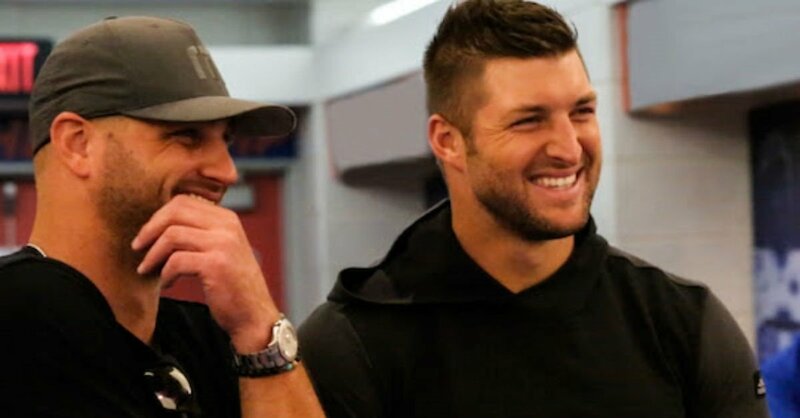 Fans of Tebow know his journey has been full of athletic injuries and personal criticisms. Despite it all, it seems Tebow has his head on straight and he keeps adding new skills to his resume. Tebow isn’t the only Christian athlete attempting to enter the filmmaking world. Professional basketball player Stephen Curry announced that he’ll be starting his own production company as well that will produce faith-based movies. Keep checking back with Movieguide® for updates on RUN THE RACE and for more on Tebow, click here.